We are at war! Know your enemy!. 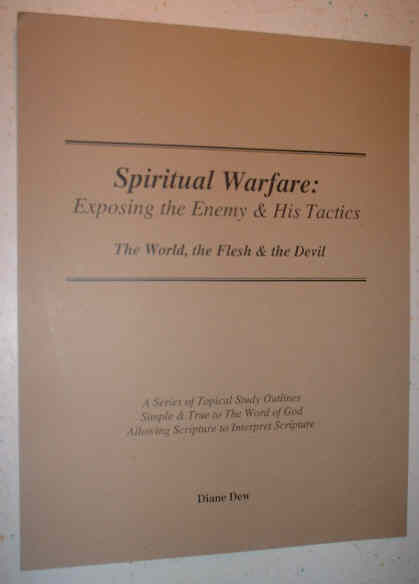 "For we are not ignorant of his [Satan's] tactics..."
Every verse on each topic, in a neat outline! For individual or group study. S/h $4.50. I accept PayPal, checks, and money orders. Diane Dew • P.O. Box 340945 • Milwaukee, WI 53234 • U.S.A.